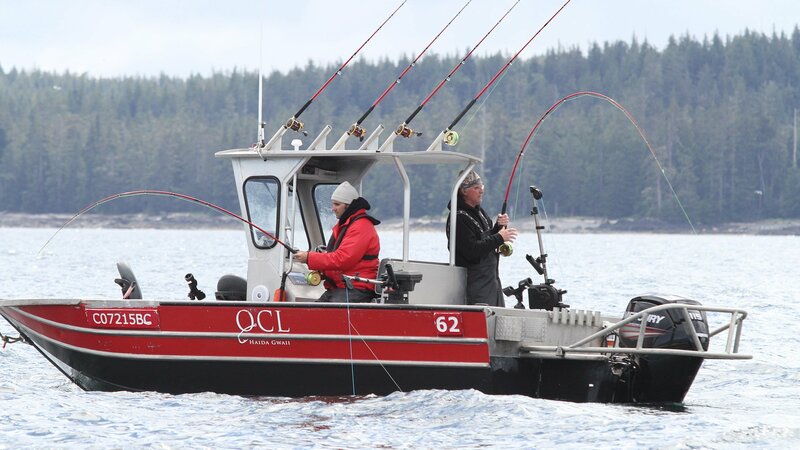 Since Queen Charlotte Lodge first opened in 1991, we have been offering our non-guided fishing experience. 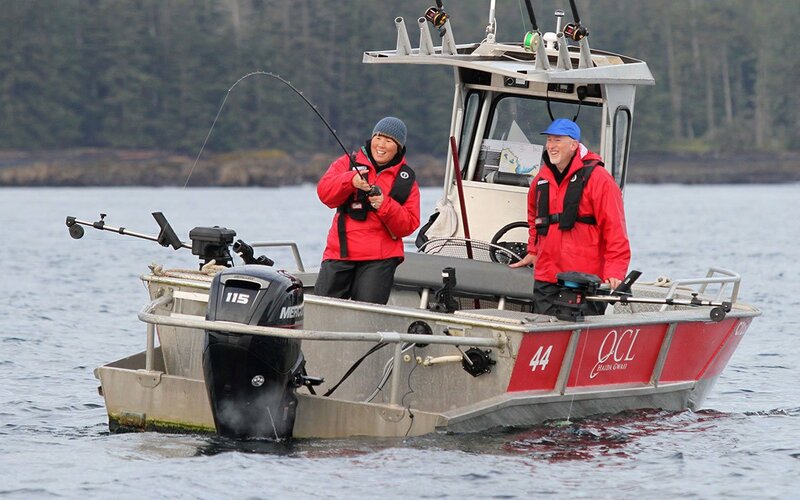 Although this program has been refined, enhanced and improved over the years with our dockside orientation and on-water assistance from the Fishmaster, there is no doubt that those guests that choose to “do it on their own” are still having great success. 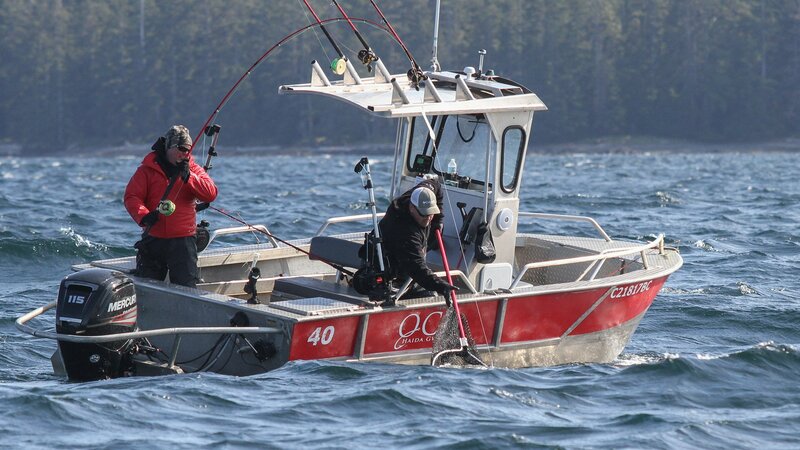 Should you choose to experience the Queen Charlotte Lodge fishery on a self-guided basis, never be worried that non-guided means unsupported. 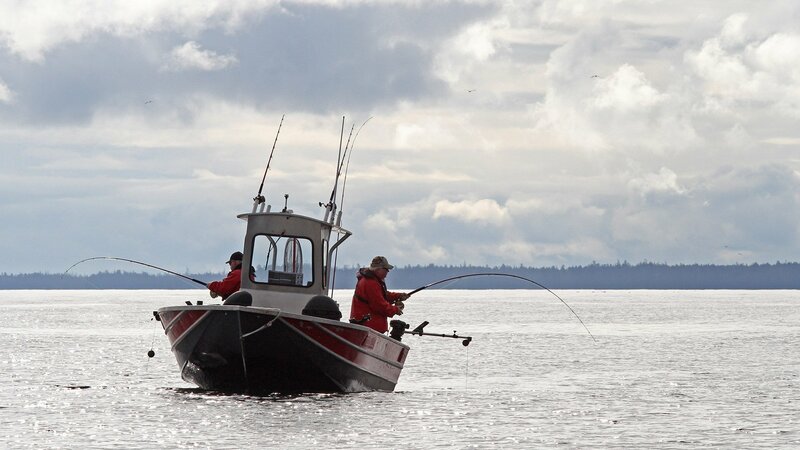 From the moment you arrive at the Lodge you will receive as much instruction and demonstration as you feel you need. 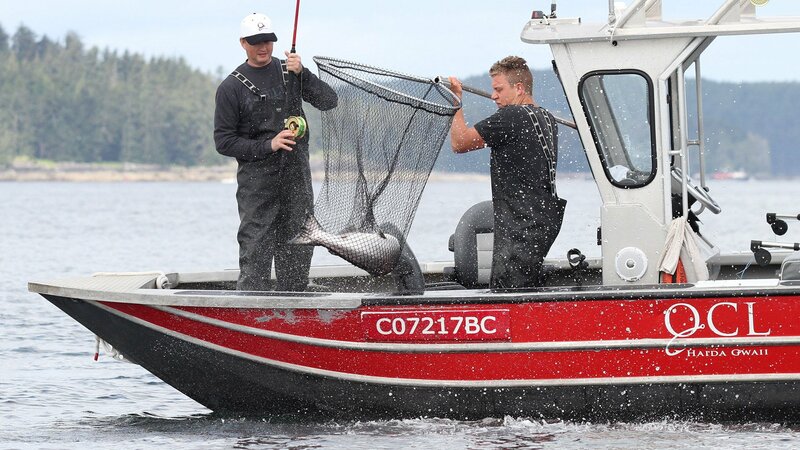 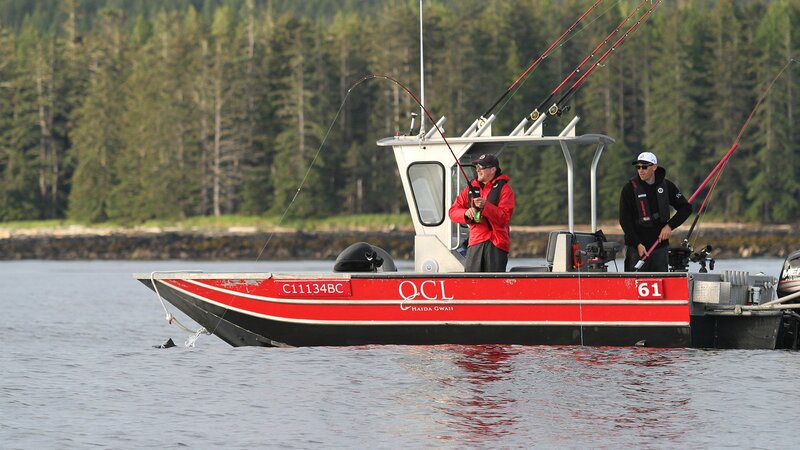 Items such as fish limits and fish species identification, boat safety and operation, fishing equipment and techniques are all discussed. 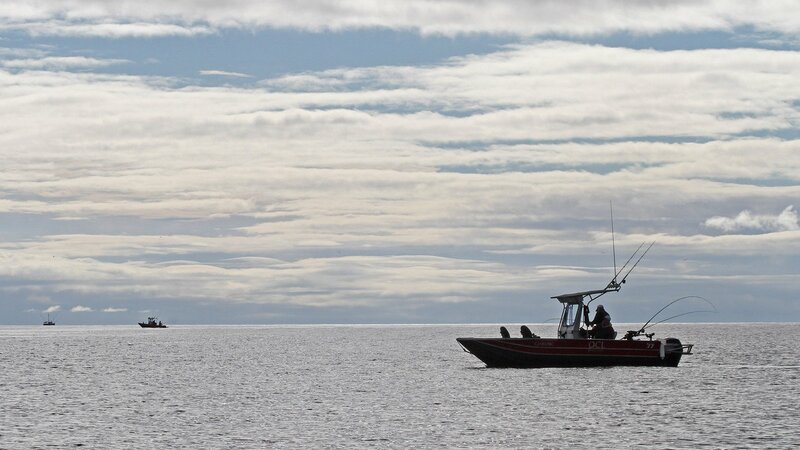 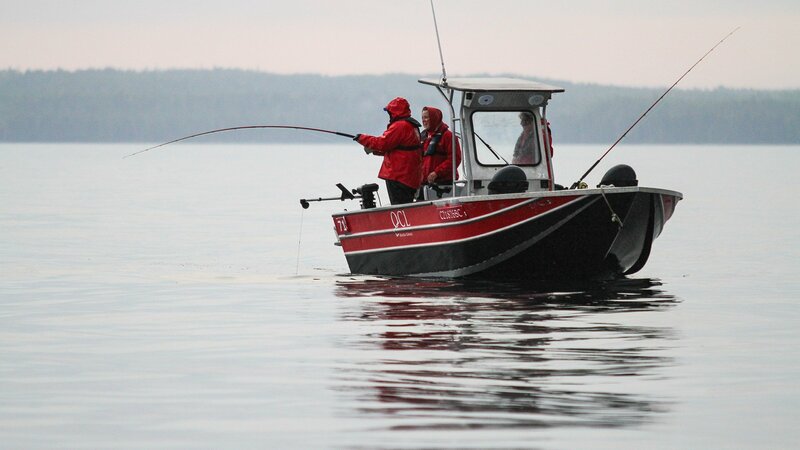 Each boat comes with a VHF marine radio, GPS / depth sounder unit, Sirius satellite radio, high-quality Islander mooching reels, and a detailed area and fishing techniques map. 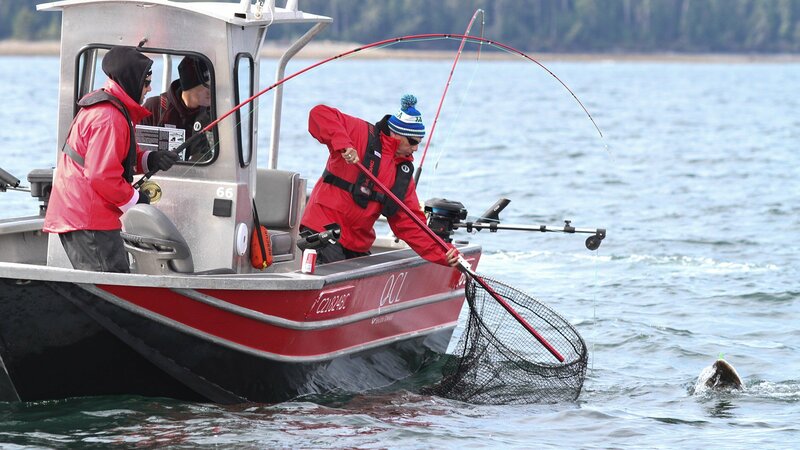 Hands-on assistance is available from the crew on the Driftwood and the Fishmaster. 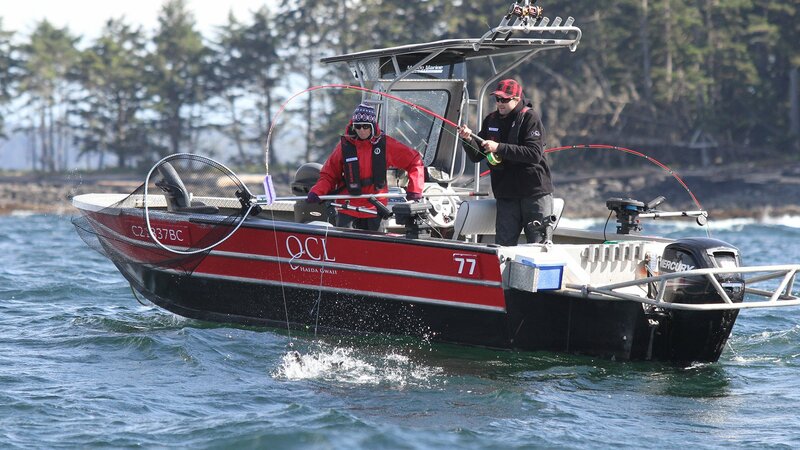 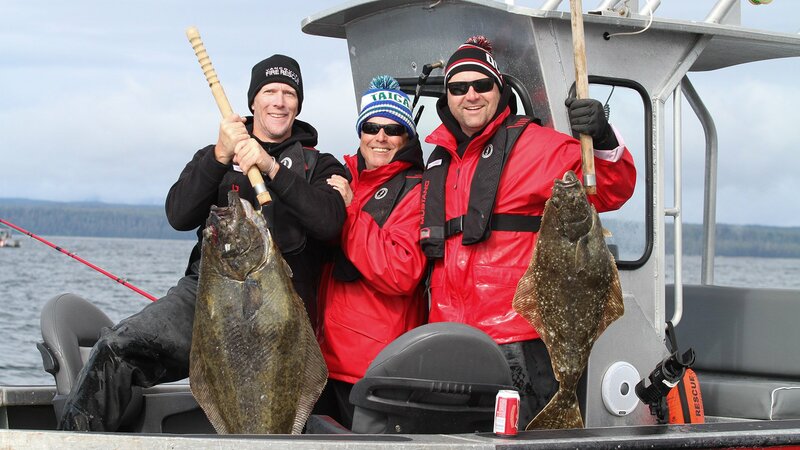 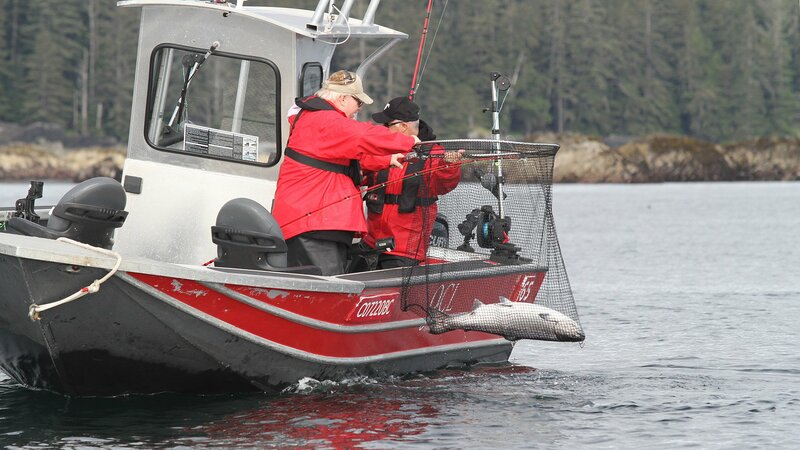 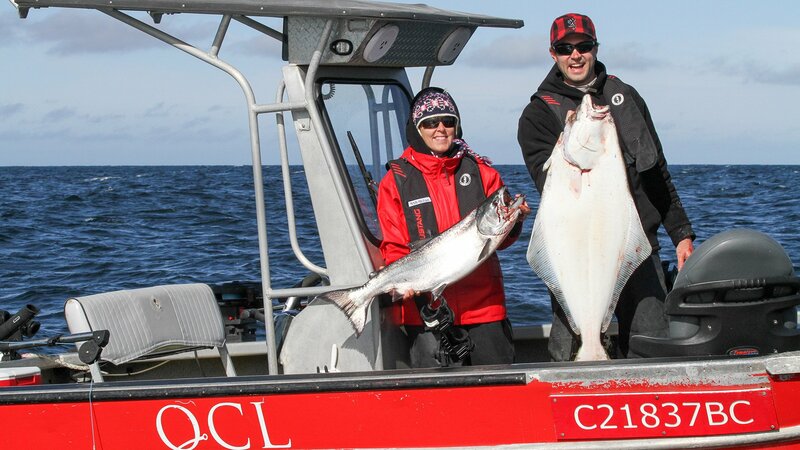 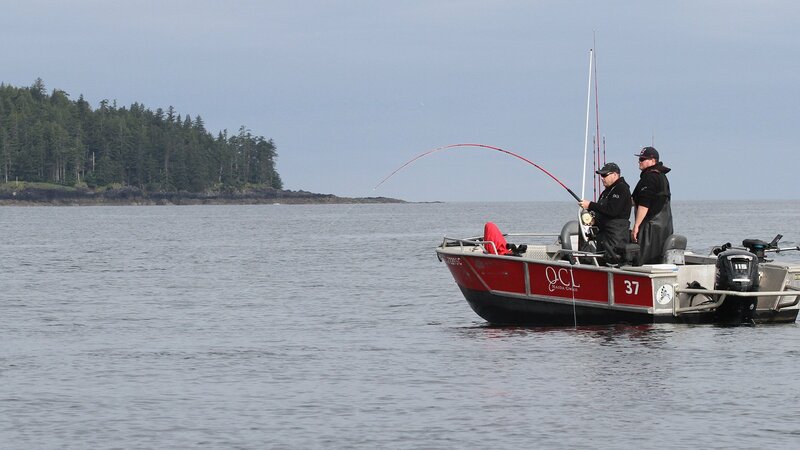 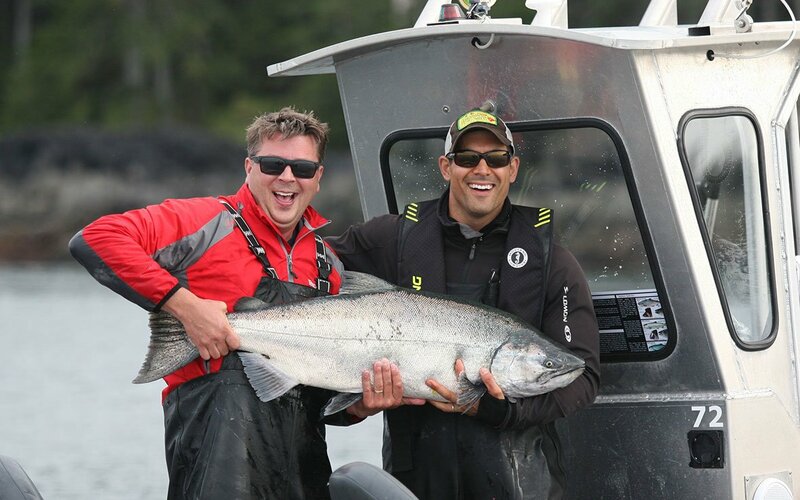 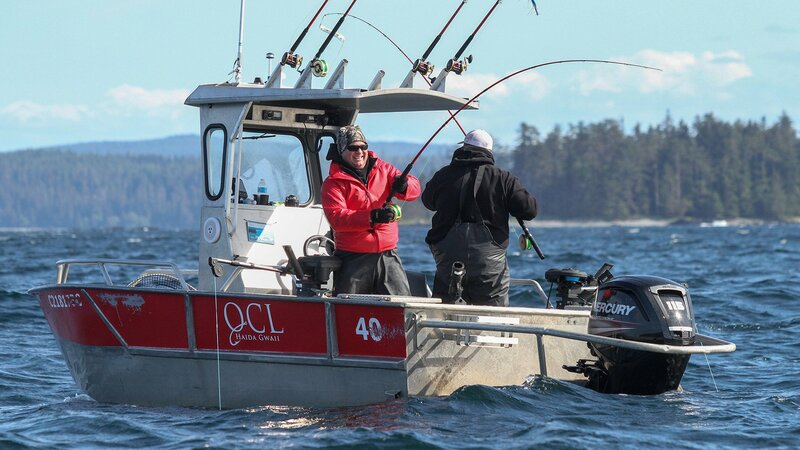 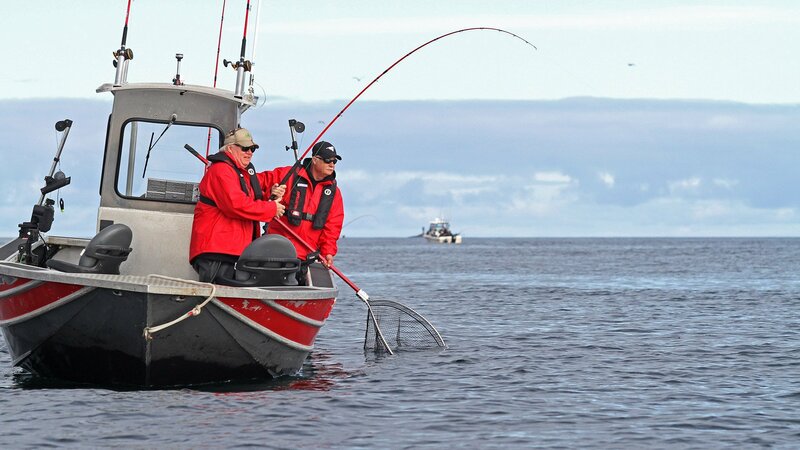 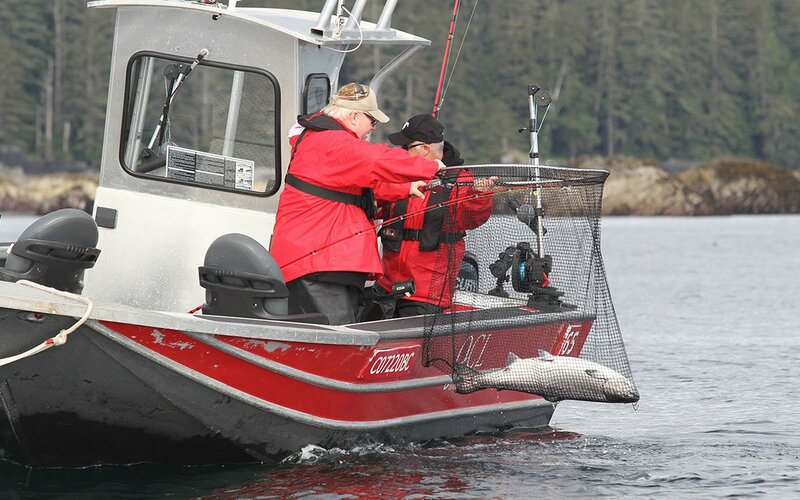 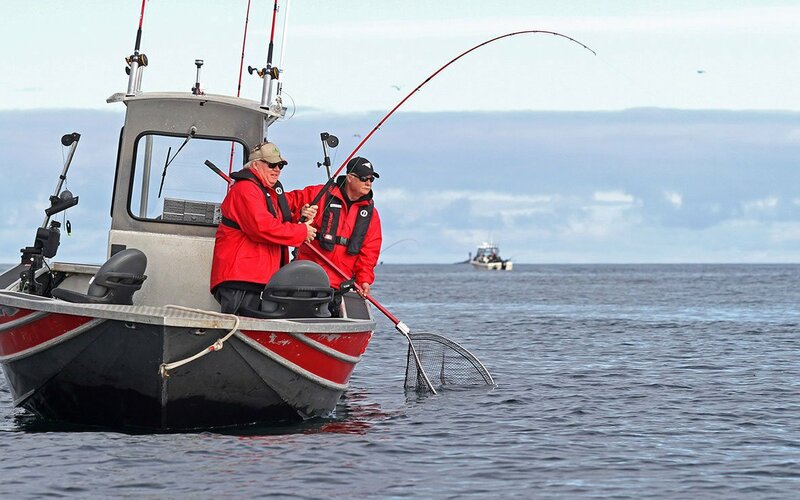 At any one time, we may have 30 or more Guides on the water and they are all eager to assist you with fishing tips, landing that big halibut, or just a few encouraging words if they are needed. 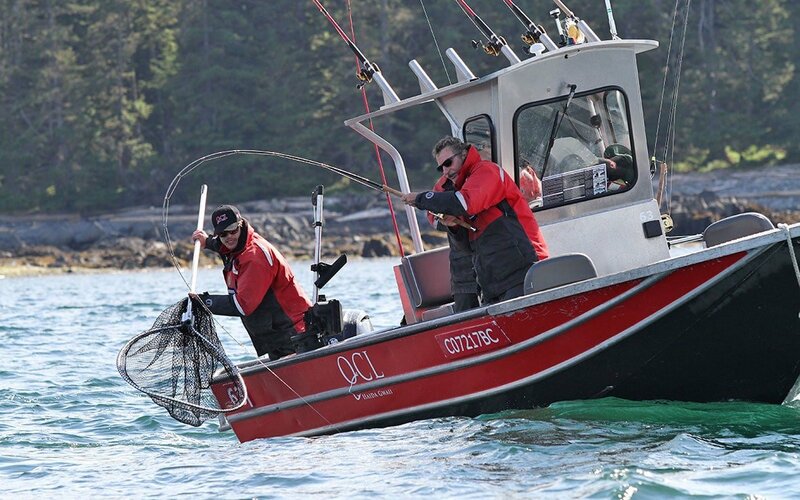 The bottom line is that our non-guided guests at Queen Charlotte Lodge are always being looked after and you definitely won’t feel that you are alone! 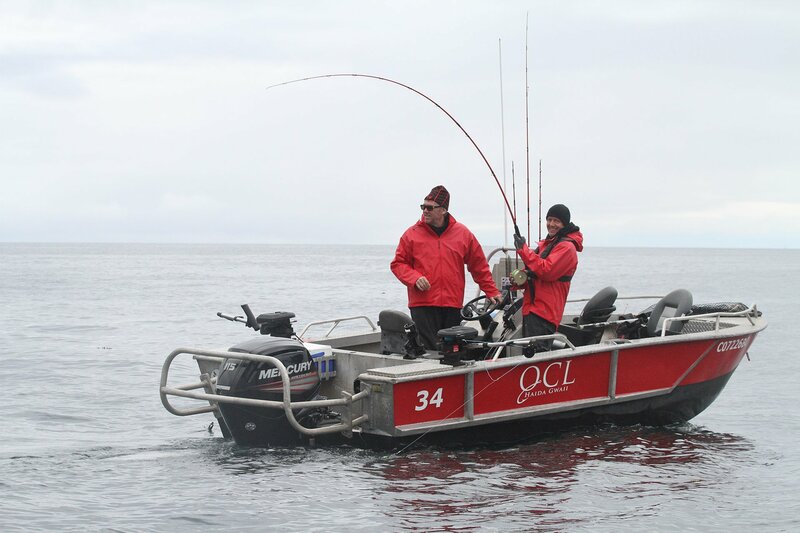 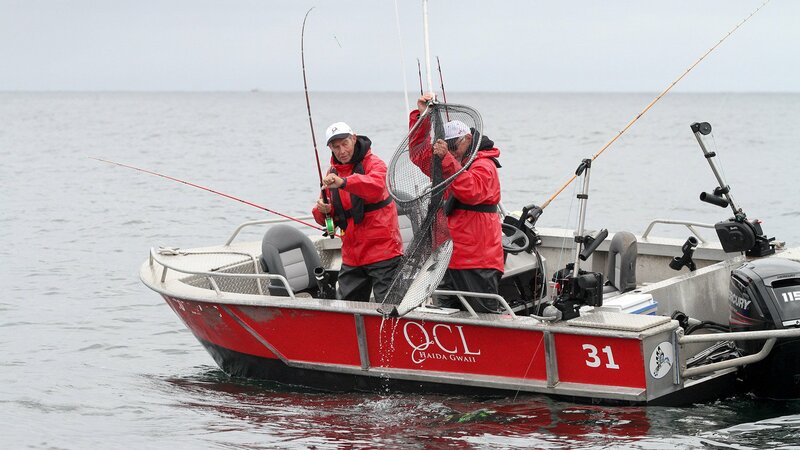 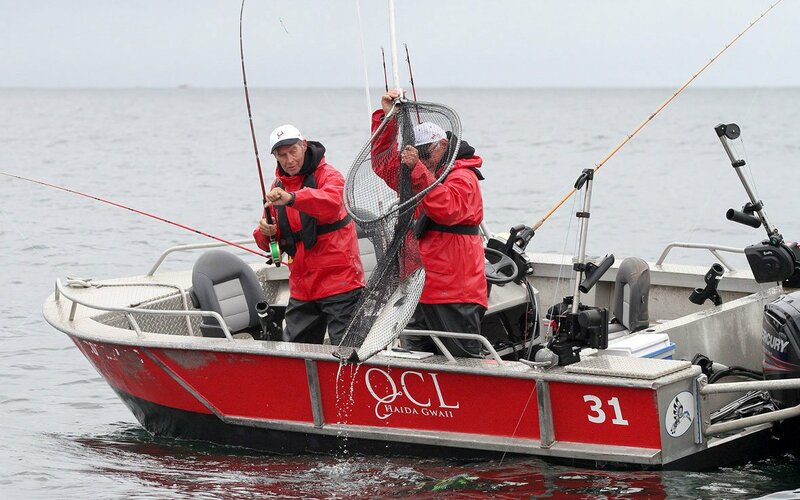 Some QCL guests prefer to fish on their own – no problem! 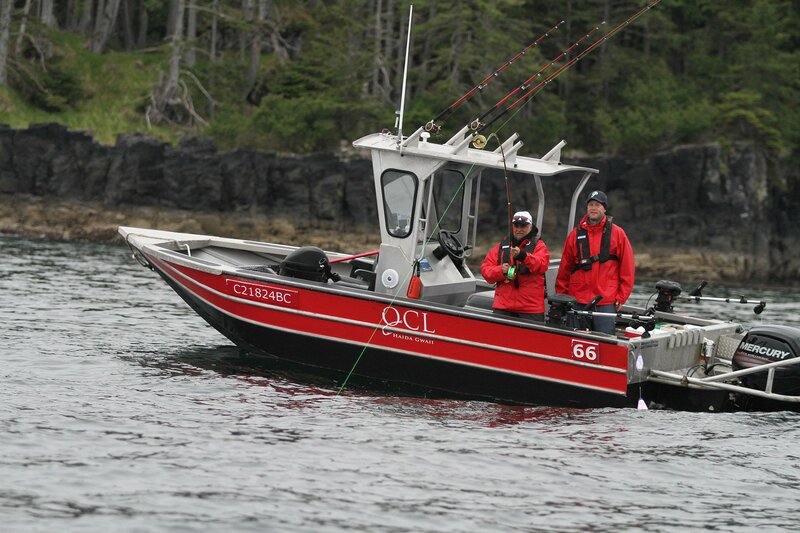 The dock staff and all the guides are so knowledgeable and well trained, we did a self guided trip but the team there helped us with every need or question we asked. 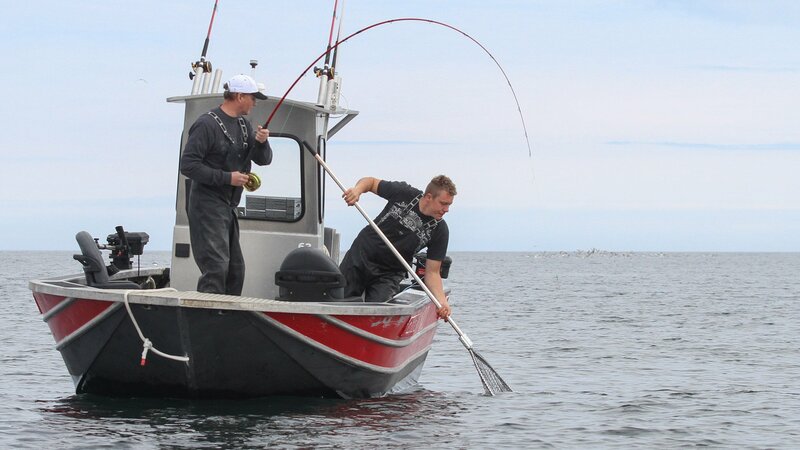 This really made all the difference to our fishing and the locations we picked as well as the gear used and baits.